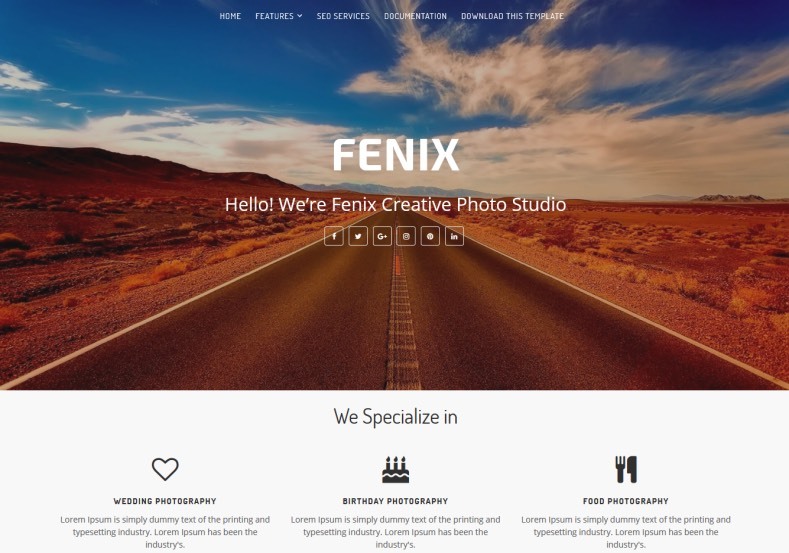 Fenix Creative Blogger Template is a premium looking portfolio blogspot theme that enables you to create a professional portfolio website and manage your blog. It is a Personal Portfolio Template designed for a freelancer, creative designer, photographer who wants to display their portfolio online. A wide variety of portfolio layouts such as architect, portfolio, creative website can be created, showcase your works in the best possible way. With amazing looking widgets on homepage. It comes with 100% responsive design for various device ready and compatible, so that no matter where your customers are or what device they are viewing your new website is going to display it to pixel perfection and scale seamlessly to suit the end device. Loaded with beautiful typography and optimized for speed on all devices and browsers. Slideshow, No Sidebars in the home page, Business, Portfolio, Photography, Ads Ready, White, 1 Sidebar, 1 Right Sidebar, Clean, Seo Ready, Magazine, Free Premium, Right Sidebar, Post Thumbnails, Responsive, Social Bookmark Ready, Drop Down Menu, 2 Columns, Fast Loading, Browser Compatibility, Elegant.